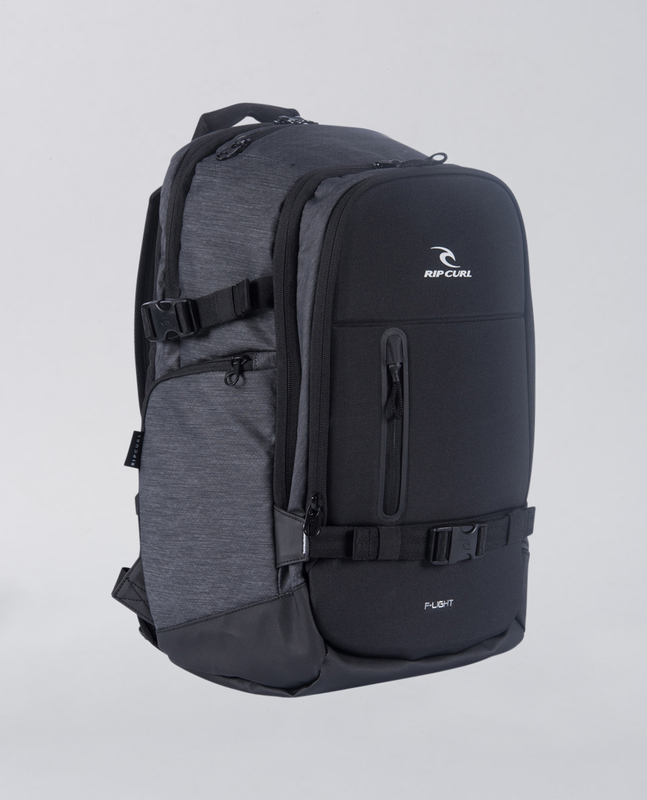 The F-Light Posse Midnight is a great travel backpack for men, made of a water resistant polyester ripstop and designed with Tough Base protection. 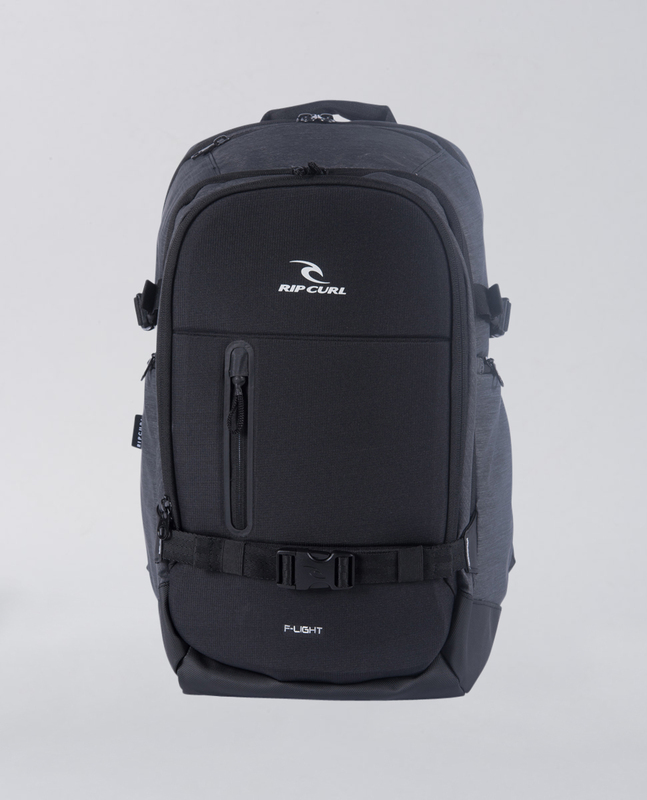 Holds up to 34 litres of content, only weighs 800grams! 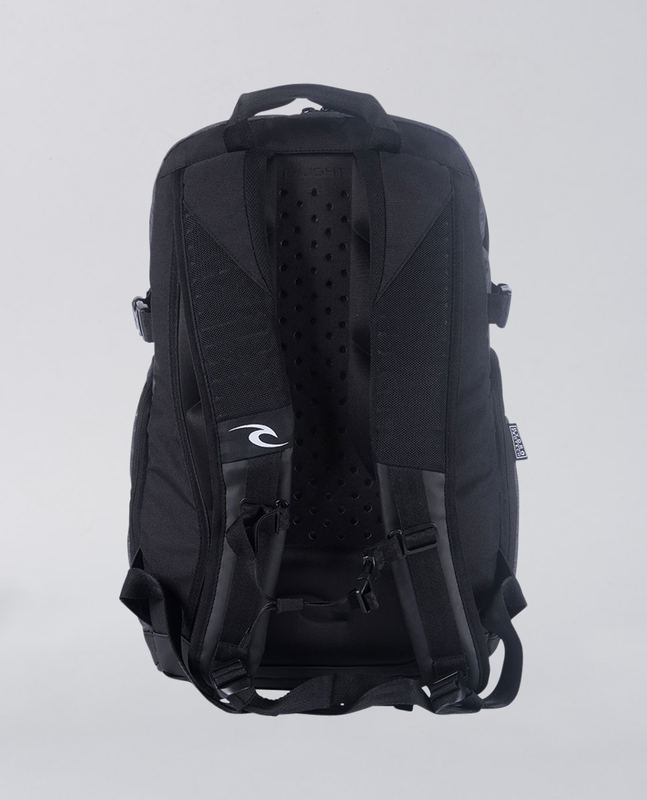 Detailed with a large main section, a laptop section, compression strraps, a drink bottle area and more.